EzFloat is a battery powered diamond disc float with interchangeable diamond apple core bit and buccal burr. 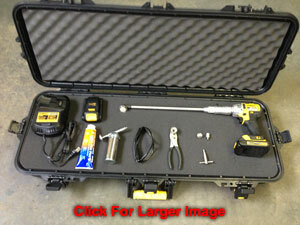 Two long lasting 20V lithium batteries with wall charger, grease gun, disc pliers. Fastest De Walt drill on the market with 3 speed ranges. Easy and safe to use. Disk direction can be changed easily to up or down or any angle. One year warranty; 1 year limited warranty on motor, batteries and shaft. For quick change between apple core and disc, you can purchase an additional shaft for $900. 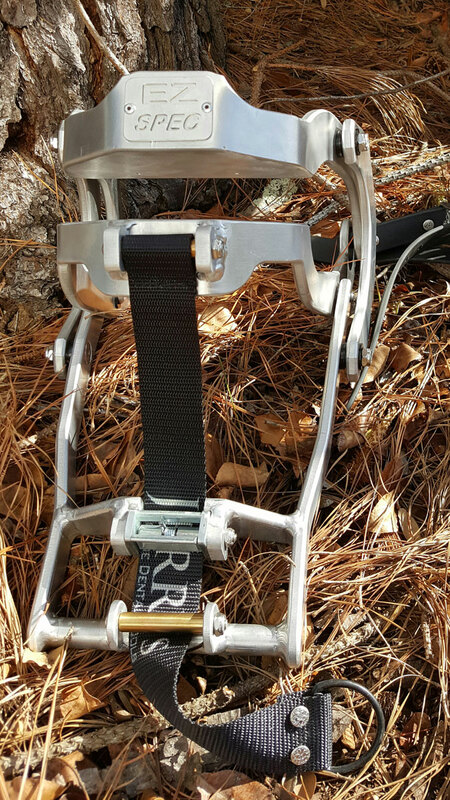 LIGHTWEIGHT - Total weight of EzFloat (as used) is 2kg (4&1/2 pounds). The MightyEz with flex shaft is a light weight battery powered unit, featuring an off/on switch, variable speed control and built-in clutch. 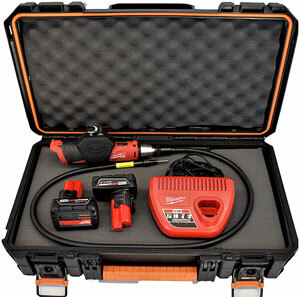 The MightyEz gives you every feature you would expect in a regular motor, in a convenient cordless package. It is great for locations with no available power source, By alternating the use of the re-chargeable batteries, you can work all day. 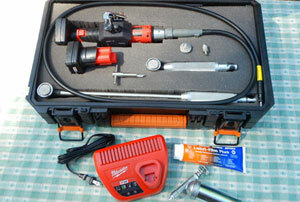 The MightyEz basic kit with no handpieces. 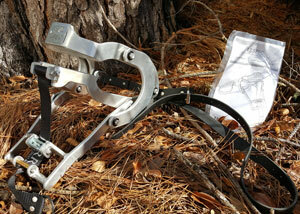 Easy to open, allowing better access to #311/411 hooks. 2 year warranty: hand crafted in the U.S.A. and designed by practicing equine dental practioners who use the EzSpec daily. 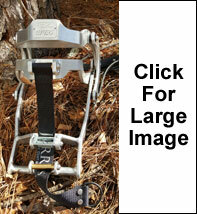 Excellent for sedated horses, especially for motorized work. 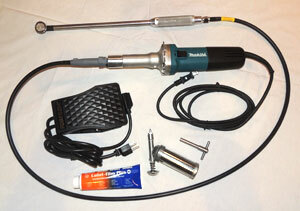 Kit includes grease pump and grease, instructions. Long-lasting Diamond disc and Guard; "Apple core"
18 inches long with excellent grip handle. 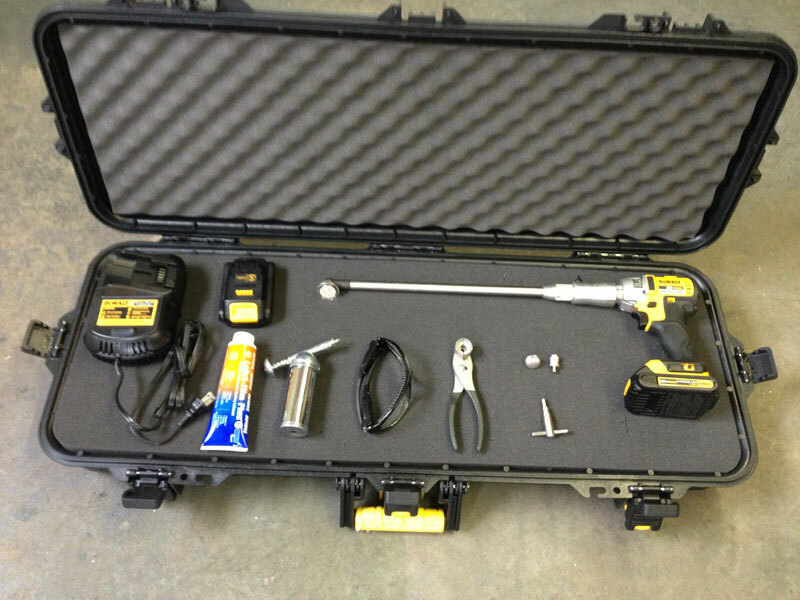 Kit includes grease, grease gun and T-wrench for maintenance. 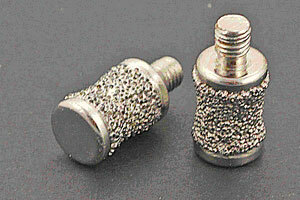 Equine Short Power Float "Shorty"
Great for incisor, canines, and bit seat work. 1&1/4 inch extra wide disc and guard. 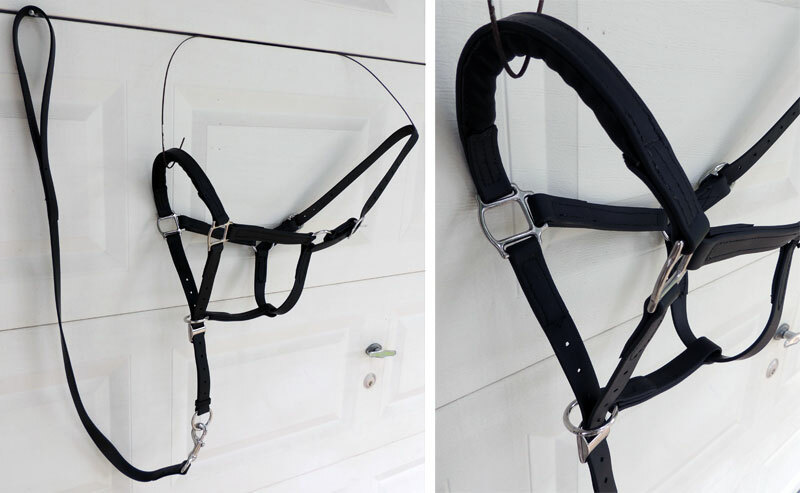 These custom made (USA) dental halters last for over 10 years of regular use. Avoid the cracking and upkeep of leather. 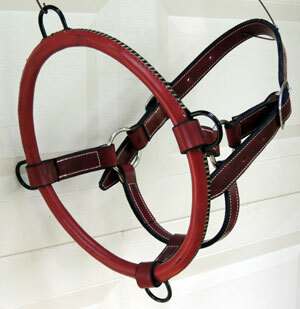 Good for both suspending the head with a rope or tying down for martingale effect; also has side metal attachment areas. Nicely padded under the beautiful leather finish. 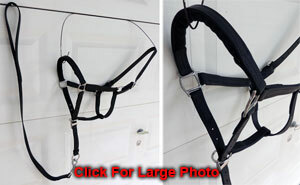 Standard large size can be used on all horses. NOTE: The American School of Equine Dentistry is a private school.